Spring has sprung – and that means that graduation season is just around the corner. Graduation season runs all the way from April to August – although official school graduation ceremonies are usually held in May, most graduation parties are held all throughout the summer, usually on the weekends. And with graduation season comes graduation gifts! Graduation gifts are a tradition among Americans, and most of us think that graduation gifts are very important indeed. In an Investor Pulse study, 87% of surveyed Americans said that they believe it’s “very important” to give graduation gifts to immediate and extended family members, and 49% of respondents said that it’s “very important” to give graduation gifts to close friends. The numbers behind American graduation gifts are quite staggering – Americans spend more than $47 billion on graduation gifts annually, and that number has been increasing over the years. For comparison, Halloween spending is usually around $8 billion, and Valentine’s Day spending was around $18.2 billion in 2017. In fact, winter holidays such as Christmas and Hanukkah are the only holidays that edge out graduation season in spending – though they do so quite handily, with a market share of nearly $1 trillion. So, since graduation season is coming up, it’s time to think about gifts. There are a number of popular gifts for grads – but the #1 most given (and requested) item is cash. It’s very common to give cash and checks to recent graduates – whether they’ve graduated from college or high school. An NRF survey found that 56.8% of all respondents said they were giving cash to graduates, while around 40% planned on giving gift cards. This means that graduation season stands in stark contrast to most other holidays. Giving cash to people on most major holidays is still seen as somewhat taboo, and is still relatively uncommon. In fact, this taboo can be seen as one of the main reasons that gift cards are so popular during the holiday season. $31.74 billion was spent on gift cards throughout the 2014 holiday season alone, making gift cards one of the single biggest segments of the gift-giving market. Much of the popularity of gift cards during the holiday season can be chalked up to the fact that many people are unwilling to give cash to others during the holidays. Gifts of cash are often seen as thoughtless, impersonal or rude. So, there’s an interesting dilemma here. Should you buy gift cards for graduation presents? Or should you just give a graduate cash? In this article, we’ll take a look at the pros and cons of doing both, and help you decide what gifts you’re going to be giving this graduation season. Gift cards are fantastic choices for graduation presents, and provide a wide variety of benefits to recipients and gifters alike. Let’s take a look at these now. Gift Cards Feel More Rewarding – Gift cards are unique because, despite being usable like cash, they don’t feel quite like cash. 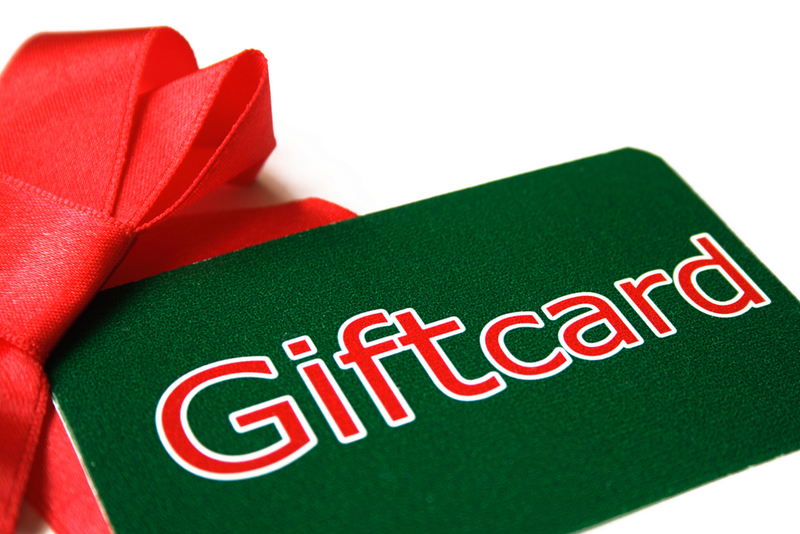 Surveys have shown that people think of gift cards differently than they think of cash. This makes gift cards somewhat more rewarding than cash. The recipient of the card will feel as if they have “carte blanche” to choose an awesome gift that they may not normally have bought for themselves. You Can Choose A Store They Love – Giving someone a gift card to a store they love is a great way to connect with them. It lets them know that you understand their preferences – if you have a graduate who loves tech, you could get them a Best Buy Gift card. If your gift recipient is a real food lover, you can get them a gift card to their favorite gourmet restaurant. Whatever the case may be, gift cards provide a way to tell your recipient “I know what you like, and this gift is proof.” This can make a gift card a much more personal method of gift-giving, especially if you can’t be physically present at a graduation celebration. You Can Send A Gift Card From Anywhere In The World – It’s not uncommon to send cash or checks through the mail to graduates – but this can be somewhat risky. Gift cards, however, are easy to buy and send not only in the United States – they can be sent from just about anywhere in world. You could buy a gift card and mail it, or simply buy a digital gift card and have it emailed to the recipient. By doing so, you eliminate any risk of your gift being lost or stolen, and can quickly send a gift anywhere in the world. Buying Gift Cards Is Easy – Compared to buying a physical gift for a graduate – or even withdrawing cash from the bank or writing a check – buying gift cards is extremely easy. You can buy them online or in person, and you don’t have to worry about buying the wrong thing. This makes them an extremely convenient choice for anyone who is worried about running out of time, and not being able to buy the right graduation present for a loved one. Gift Cards Provide Flexibility – It’s actually quite rare for graduation presents to take the form of a physical, pre-selected gift. Behind cash and gift cards, the next most common item given to graduates is apparel – usually from the college that the graduate is headed off to, or just graduated from. This is because flexibility is crucial for graduates – they’re entering a new world, and may not know what they need. Gift cards provide a great, flexible way to provide a gift to graduates. For example, if you give a graduate, a Target gift card, they could buy groceries to stock up their dorm room, pre-fabricated furniture for their dorm room, or new clothes to go back to school. This flexibility is one of the best aspects of gift cards. You Can Personalize Gift Cards – Though it’s convenient and easy to spend, cash is not personal. You can’t really personalize a check beyond the “notes” section and the card you give with it, and because graduates get so many checks and so much cash during graduation season, they may not be left with much of an impression of individual cash gifts. However, gift cards can often be personalized – whether they’re retailer gift cards from large stores, or prepaid gift cards from card issuers like VISA and MasterCard. You could choose a photo of you and your loved one from when they were young – and personalize your gift card with a message about how proud you are of their graduation, and their continued success. That’s certainly more memorable than a check. So, there are certainly plenty of reasons to choose a gift card for a graduation present. But we won’t sugarcoat things – you can run into some issues while buying gift cards for graduation presents, too. Gift cards may be great, but there are some problems you may encounter if you buy a gift card for a new graduate. Here are a few of the biggest issues you may face. You Risk Choosing The Wrong Store – This is the biggest risk you face when buying a gift card for a graduate. If you choose the right store, your gift will be appreciated – but if you don’t choose a store that, a graduate likes, they might never use your gift card. This is rather simple to avoid if you can ask parents, friends, and others about the preferences of your graduate, but it should still be a major consideration. If you have no idea what stores a graduate shops at, you may want to just give them the gift of cash. It’s Harder To Determine Appropriate Value – Writing a $20 check is easy – you know that a graduate can use that money on whatever they want, and add it up with any other cash gifts they might receive to buy anything they may need after graduation. However, gift cards are slightly different. You wouldn’t usually give a $20 gift card to Best Buy, for example – because you can’t really buy much with a low-balance gift card like that. This can lead to situations where it’s hard to determine how much you should be spending on a gift card versus a cash gift. Gift Cards Are Less Traditional Than Cash And Checks – As mentioned above, graduation season is the only holiday season during which cash and check gifts are common – more common, in fact, than gift cards. There is a hidden benefit here, though. If you’re spending time searching for the right gift card and still end up empty-handed, you can simply write a check or give your graduate, some cash. Graduates Are More Likely To Lose – Or Forget About – Gift Cards – This is probably the biggest drawback of giving gift cards to graduates. Because they get so much cash and a lot of checks all throughout graduation season, they’ll generally keep a close eye on their stack of money – and try to deposit it all at once. Gift cards, on the other hand, can often go unnoticed, and be lost or thrown away during the shuffle – especially during a large graduation party. And even if the gift card isn’t lost during graduation season, your recipient may forget about it completely, and the value on the card could expire before they can even use it. Cash Can Be More Beneficial For Some Graduates – Gift cards are very flexible – but not more flexible than cash. You should think about the economic situation of your graduate before deciding to buy a gift card. Are they going to college? Will they need help paying for books, tuition, and other expenses? If your graduate is going to be tight on money, it may be a better idea to just give them cash – the flexibility and value of cash is going to be more important than giving them a fun, personalized gift. It may be boring, but a gift of cash can sometimes really help a new graduate as they enter the adult world for the first time. Clearly, the choice between cash and a gift card for a graduation present is not straightforward – but if you bear these pros and cons in mind, you’re certain to make the right decision for each graduate on your list this graduation season. Got Gift Cards You Don’t Want? Sell Them At EJ Gift Cards Today! Whether you’re a graduate, or just have a bunch of gift cards you no longer want, you don’t have to worry about losing out on their value. Online gift card buyers like EJ Gift Cards provide you with a quick, easy method by which you can sell your unwanted gift cards – and get paid in cash. It’s simple – just head over to our website, follow our step-by-step selling process, and enter your payment details and some basic personal information. As soon as we verify the validity of your gift card, we’ll issue you payment via PayPal, and you can spend your cash on whatever you want. Gift cards are great presents – there’s no doubt about it. But sometimes, cash is what you want – and when you need quick cash for a gift card, there’s no better option than EJ Gift Cards. We accept hundreds of cards at great rates. Don’t delay. Sell your cards today.